What to do on the first of may this year? For all those who don't know what to do with this holiday, tehre is an easy fix! 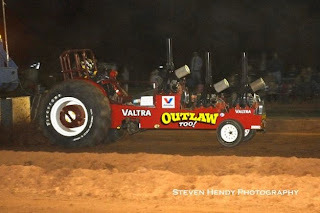 The opening of the dutch A-division of Tractor Pulling at Wierden. Popular with dutch and german pull fans alike, the event always offers a great track, nice atmosphere and a good view on the track. I will for sure be there and hope to see you this coming thursday! 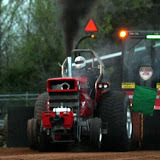 Check http://www.tractorpullingwierden.nl/ for more info! You want to see the new Lambada and more pictures and a nice webvideo ? Visit my homepage and enjoy it. We've done our best for a good field of competitors, and even though it's not as full as we have hoped for, it still should deliver a very good show with a lot of variety and pullers all the way from Sweden and Italy! 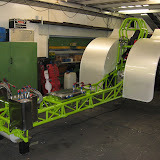 The new Green Fighter is also about done and will have it's maiden run on saturday. Hope to see you at Füchtorf this weekend for our 30th anniversary pull! Usually I don't link to websites that are not in english, but this one deserves a link - even though it's dutch only. 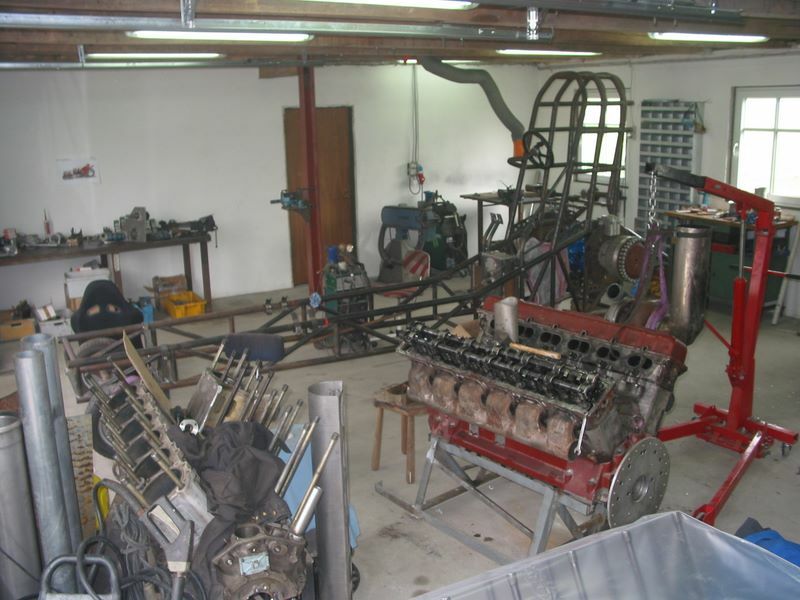 The dutch Rebel team is rebuilding their tractor for quite a while now - and I would almost say they got a kick out of "rebuilding" - it's just plain awesome what they are doing in their shop. Check their website and then follow the links under "nieuws" and "werkplaats" (workshop). WIth Steven Hendy there finally is a photographer following the Australian scene! Check his website for some good shots! The twin Transmash V12 tractor from Denmark looks like it could be finished later in the season now. Interesting gallery on their website! The Popeye Team has the legend ready for the new outdoor season and back in their old, traditional team colors from the 80s. 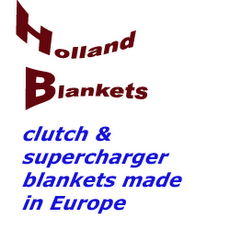 Check their website at http://www.vanalphenbladel.nl/ for further info! Looks like some italians have been busy lately! The TV show of the pull in Gelredome last weekend! Looks like the new Simply Irresistible is about done, too! Now the question is whether we'll get to see it perform at Füchtorf or Wierden for the first time! One more week to go until "our" big event at Füchtorf, which means I will have another week with little time to work on this website, as I spend my time in our workshop and at the stadion getting everything ready for the weekend. Looks like we'll have some good competition and the weather forecast (as much as you can believe it for now) says something about a little chance for a few rain drops in the morning but around 20 ° C and sunshine for the rest of the day. Track looks good (still a little wet - but getting there), too after we have "soften" it up some last summer. New tractor is coming along great, too. Should be ready by the end of the week. CU at Füchtorf next weekend! On the Eager Beaver Website the picture of a new mofified tractor from Denmark is shown. Built by the Wild Toy Team, which before competed in the mini rod class, the goal is to get three Chevy V8s into the 2.5t modified. All I can say - looks good and the 2.5t is becoming a serious battle! Here's a provisional list of the competitors for Füchtorf. There is still some question marks behind some tractors, but I have not gotten a confirmation from the NTTO yet - and also some teams are busy rebuilding and don't know if they will be done in time. Those of you, who see themselves with a question mark on the list: I would be very happy if you could let me know if you will come or can't make it! Travel money according to association's standard. Also: Pit map so we don't end up in chaos and can provide a speedy event! Also... there still is some room for Stock and Sportklasse pullers on the saturday! It's open competition for everybody who fits the rules (more info on greenmonster.de)! Sport classes pay 150 € - 100 € - 50 € for top three. As some of you might have figured, the Outlaw association is trying to put limits on Wayne Longnecker's single Griffon tractor. Outlaw president Doug Roberts has come up with a "proposal"... click here to read it. As the third sled in Europe the dutch "Take it Easy" has passed the ETPC tech inspection with "international" standard, and not as written by me on the dutch forum with "national" standard. ... and the little tractor about ready for Arnhem tomorrow. Will have pictures from Arnhem on by sunday. Since I currently spend every day from 7.30am to 10.30pm at our workshop, I don't have much time for other updates on this site other than what we do in the workshop. 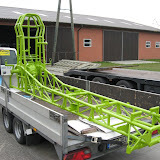 Today the new Green Fighter was totally disasambled so the chassis and the other parts can be painted tomorrow. 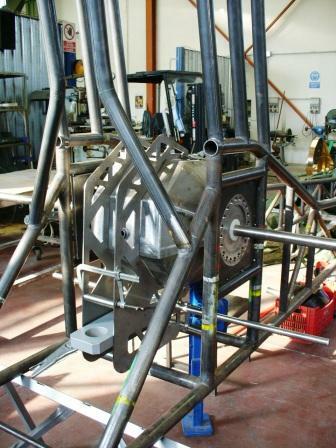 Then all that's left to do is install the driveline, build the driveline shielding and set up the electricity. So things look good for a maiden run at Füchtorf in two weeks. 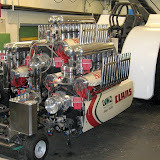 Regarding the little tractor we had a major set back, as long awaited parts from the USA have not made it here in time. We're waiting on new wheels to get the new planetaries on, a new injection system and some more Allison parts and the way it looks we won't have those before the end of the month. Actually we wanted to come out with all those new parts at the Gelredome Pull this upcoming saturday - but it won't happen. Check out this link for a TV report of the first round for the Westphalian Championship at Brünen/Germany. 4 Sale: P-38 Lighting: Twin Allisons, alcohol injected 7,500 lb modified pulling tractor. State & Regional champion. NTPA/WTPA ready. Complete with magnesium planetaries, Rockwell rear-end, Banter chasis, SCS gear box reverser, 10 ply Firestone pulling tires (long & short bar). Turn key/ready to run. Tractor built in the USA. Asking $70,000 OBO. If interested, please call, Brad at (608) 798-0664 (h) or (608) 577-7804 (c) or Dennis at (608) 846-8457. Today our new International 1206 gardenpuller / MTTC tractor finally had its maiden start. After 1,5 years of hard work and many, many hours we finally started the modified vw 1.9 tdi engine. We filmed the start-up and at 2.25 even a flame shows up in the exhaust. That tastes like more. 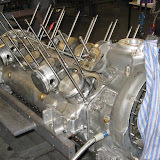 Since there were a few water leaks we only reved up to about 3000rpm so there is a lot of rpm left. All the rest was ok and a lot of oil pressure so the engine is ready to make some pulls. Now we have 3 weeks to finish the build and make it ready for its maiden run. We can’t wait for its first full pull! Special Thanks to Hans van de Wiel and Erik Broeders for filming and helping us out. As you can see, it starts to look like a puller. The old sideshields will not go on again. Just wanted to have a base to work on new ones with a different look. Stuff should go to the painter on tuesday and then we'll start the final assambly end of next week. Red Painter website in english! We have started to build new 2.5t and 3.5 ton modified. 2.5 ton we will use 2 V8 with turbos and 3.5 ton we use 3 engines. 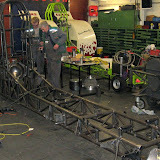 We'll build a new engine for Another Grave Digger too. Garden Pullers and "stock" Pulling from Weseke. Tractor Pull DJ's watch out! Right in time for the start of the season, PennyMaeDixon has published a newTractor Pull song. Check the webalbum of the Simply Irresistible Team!